Weak Economy Is Week's No. 1 Issue : The Two-Way Federal Reserve policymakers gather Tuesday and are expected to talk about whether it's time to start pushing harder to get the economy moving. The sluggish U.S. economy and how to get it moving faster is again at the top of the news agenda as this week begins. According to The Financial Times, some in the financial markets are already guessing what the Fed will do. "European investors are bullish ahead of the U.S. Federal Reserve’s meeting on Tuesday, which is anticipated to introduce some easing measures following last week’s disappointing jobs report," the FT writes. These stories follow on the heels of Friday's employment report, which showed a weak 71,000-increase in private employment last month and the jobless rate holding steady at 9.5%. Did some companies cut too many jobs? 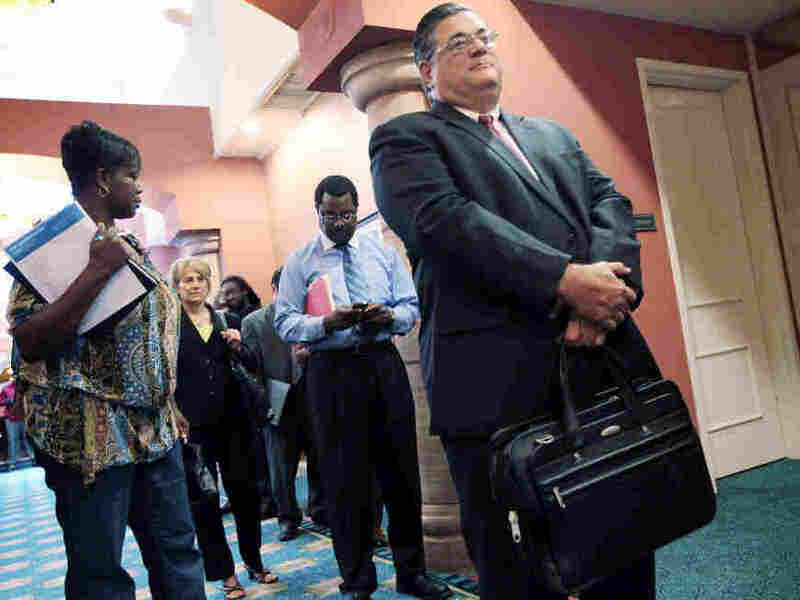 During the latest recession, which technically began in December 2007, many companies drastically slashed their payrolls. NPR's John Ydstie reported today on Morning Edition that some may have gone too far and will suffer in the long run if the economy picks up and they don't have enough people on hand to respond to an increase in demand or to undertake much needed research and development. House to take up bill to save teachers' jobs.